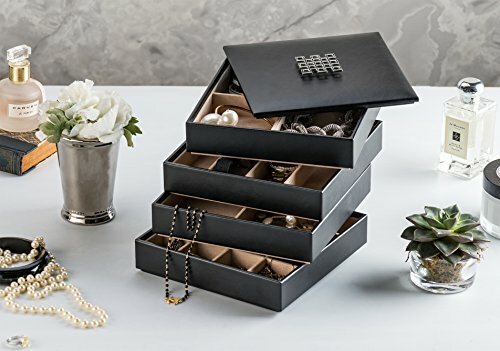 A stylish and modern looking set of jewelry trays, these products will prove to be ideal at keeping your jewelry in one place, both smartly organized and safe! 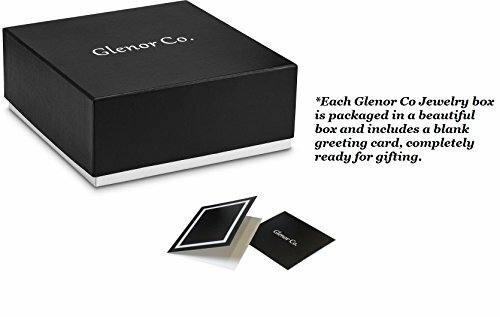 There are four boxes and they have all been made out of premium PU leather that has a fine exterior with stitching details. 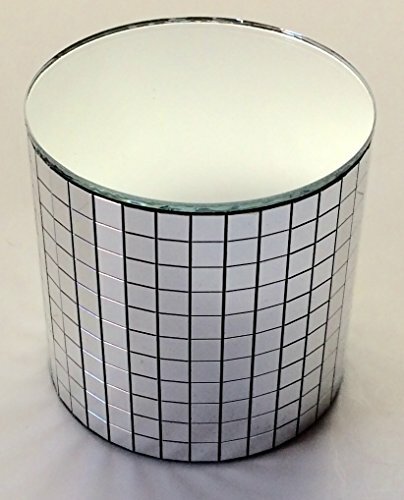 The lid is made of sturdy metal. 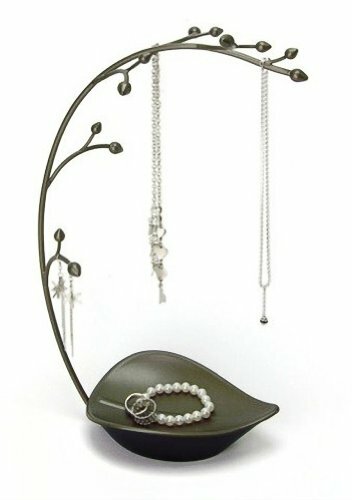 The exterior side of the trays is a very elegant dark so you can match it to any surrounding! 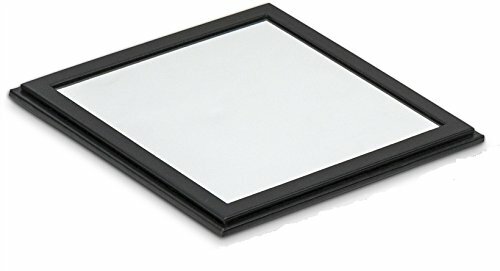 The lid is also framed with a square glass mirror on the inside. 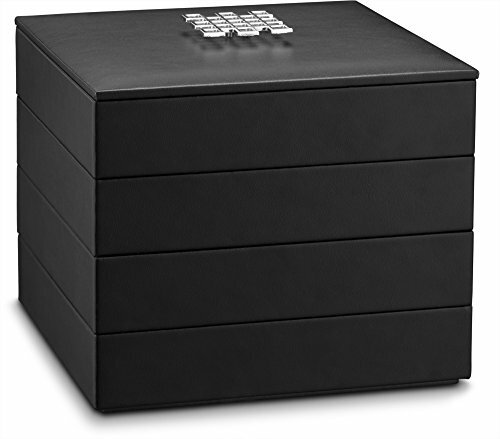 The boxes are all variously sectioned to offer a much wider range of storing. 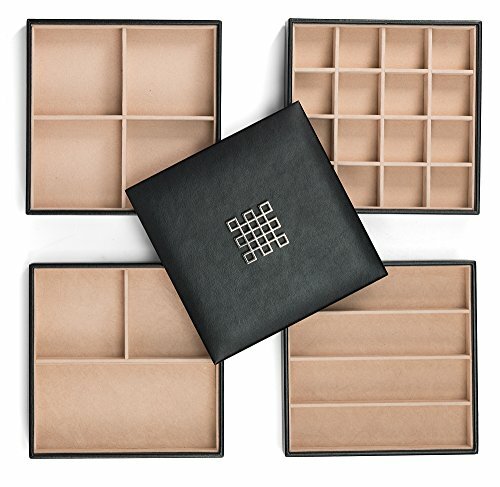 One box is parted into three compartments, the second into four square parts, the third is divided into four long lines and the last is sectioned into 16 small slots that are perfect for your rings and earrings. 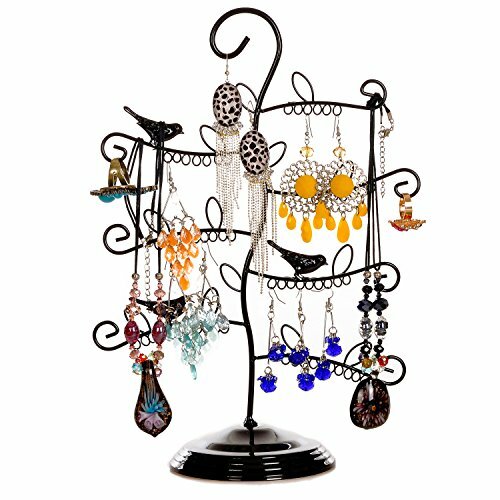 The bigger compartments are also most fit for the safe keeping of your larger jewelry, such as pendants, necklaces and bracelets. The interior has been embroidered with a velvety anti scratching material to protect your belongings. 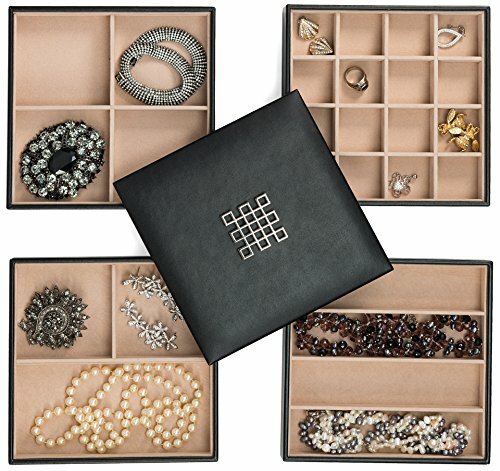 This set of four trays is the perfect way to intelligently store your collection of jewelry while also saving up a lot of space! 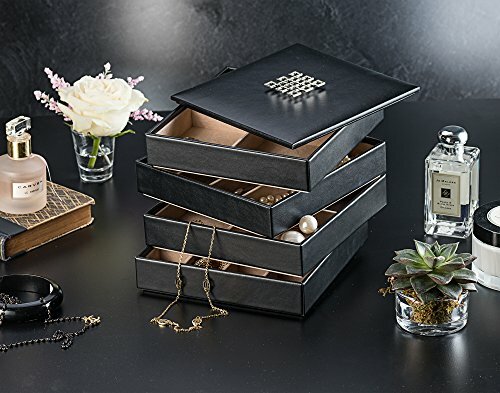 The dimensions of the product are the following: exterior – 7″ length x 7 width x 6″ height; interior compartments – the 1st tray is 4 3¼ x 3¼,, the second tray 4 is 6½ x 1½, the third tray measures 3¼ x 3¼, the fourth tray is 1½ x 1½. and its weight is 3.6 pounds. *PU Leather smooth exterior with stitching detail. 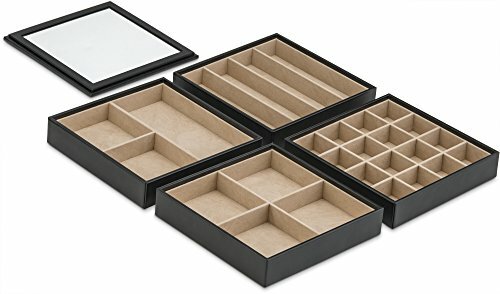 * 4 Stackable trays with a total of 27compartments.